This provocative story, written later in life by our beloved Amy Le Feuvre, reveals a depth beyond that of her previous works. Readers from all walks of life will be moved by her sensitivity to the tensions of the human spirit. We are brought into Bridget’s world, where she finds herself penniless and alone, resisting the kindness of Godfrey Bullingham. Her intelligent, practical mind can accept neither pity nor charity. But time brings change. Relationships are built and promises are made, but secrets complicate a once peaceful life. Now a young bride, Bridget is challenged: “Acquaint thyself with Him.” From that day forward, her quest to know God takes front and center as she wrestles with life and uncovers the mysteries surrounding her. 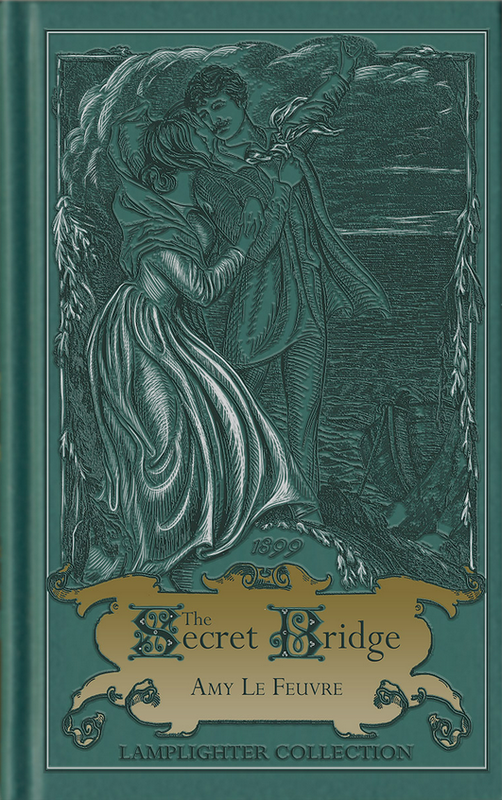 The Secret Bridge encourages us to become more acquainted with Christ, waiting for Him as a bride awaits her bridegroom, and falling more in love as we read His letters and eagerly anticipate His coming! Simply Beautiful! Both Cover and Story! From Rachel Estes of Benton, Arkansas on 1/31/2019 . At first this little book seems a bit dull and slow going, but oh fellow reader, give it a chance! It will sweep your heart away and you will not want to put it down. Towards the end of the story, you truly do begin to see God's work in Bridget's life. So many lessons to learn from this little treasure of a book. I highly recommend this book. A delightful read, but one that will leave you with many truths to meditate upon. From Barney Freeborn of New Woodstock, New York on 11/4/2017 . From Brooke Kaczor of Oneill, Nebraska on 7/10/2017 . This book is a well written story that kept me steadily reading until I finished it. I loved the overall storyline. A hint of romance, a hint of intrigue, and so much more. From C. Frazier of Elkhart, Texas on 7/6/2017 . Great book with a wonderful message about how important it is to be faithful in keeping secrets and to be respectful even when people are not respectful to you. I am sixteen and it only took me four days to read this book because the end of the chapters left you wanting to read more. From Carrie Frillman of Colorado Springs, Colorado on 5/14/2017 . Devoured it! Highly recommend. If you love The Hidden Hand , Ishmael, and/or Self-raised you'll love this one too.